Our highest level of waterproof protection in a pack. 100% waterproof-submersible with a burly TIZIP® closure, ergonomic back panel and shoulder harness; carry your gear with confidence, knowing it will be dry no matter what. Our highest level of waterproof protection in a pack. 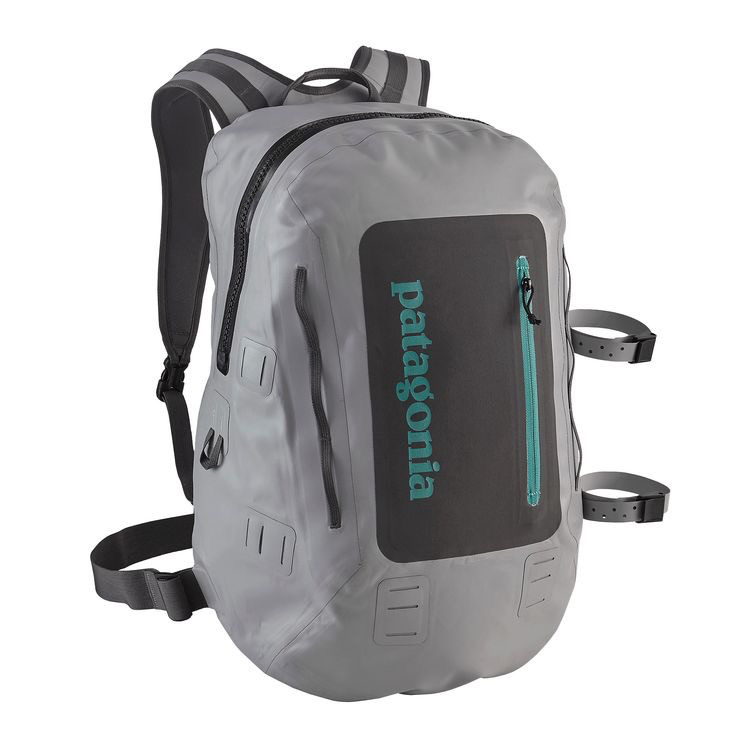 The Stormfront® Pack is an ultrasimple 100% waterproof-submersible pack, made from burly 100% nylon with a single-side TPU coating and a DWR (durable water repellent) finish. The 100% waterproof welded construction and an easy-to-use, fully waterproof TIZIP® main zipper protect the inside of the pack, which is large enough to accommodate a 15" laptop, SLR camera or a slew of fly boxes. The low-profile, fully adjustable padded shoulder harness and removable waistbelt provide all-day carrying comfort. Pocketing includes a convenient external, water-resistant stash pocket and an internal, glued-in zippered mesh pocket to keep valuables organized. The harness system includes tool attachment and storage capabilities, plus as an added bonus: it’s compatible with the Convertible Vest (sold separately). Two exterior web loops hold a rod tube.